I can’t believe that January is almost done and we are quickly approaching February. Man time really does fly, especially the older my kids get! 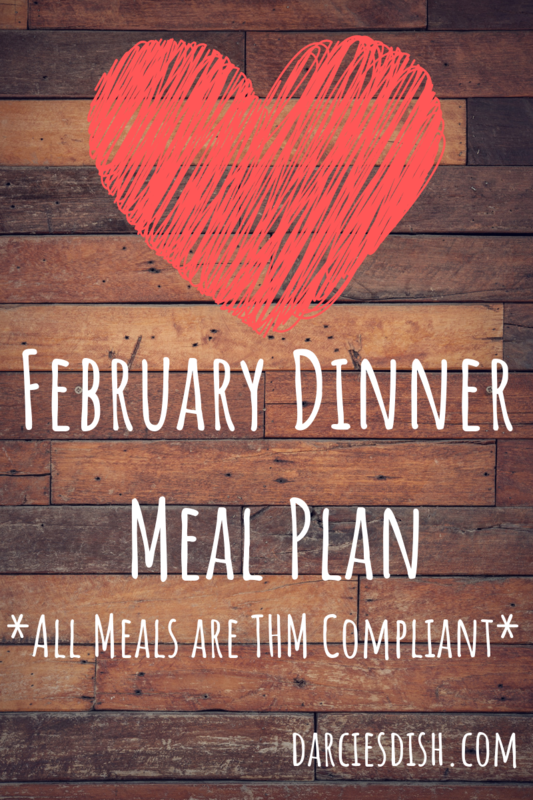 I have had such a great response to these monthly dinner meal plans and I’m so thankful that they have been helpful to so many of you. Many of you follow along with my weekly FULL meal plans and those typically have a shopping list that corresponds with the week. However, one thing that has been requested many times is a shopping list that corresponds with each week of dinners and only for the dinner meals. 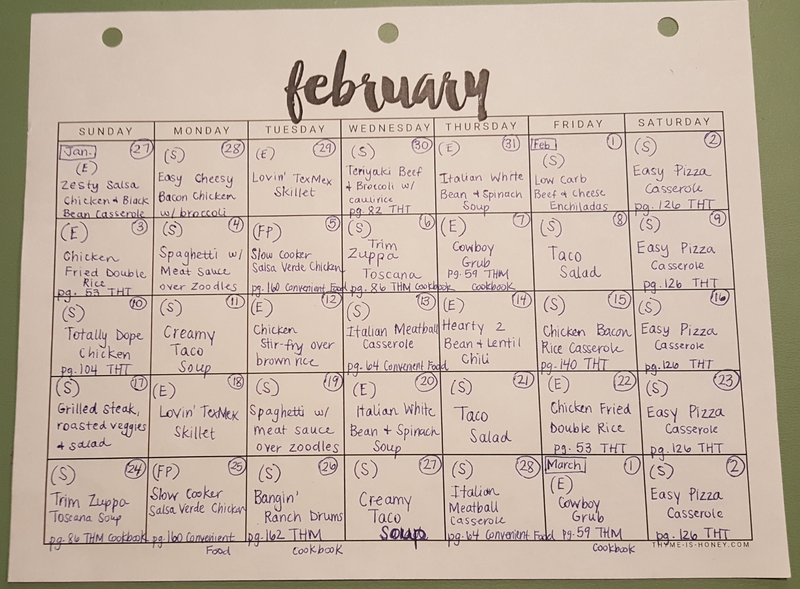 Because this seems to be something that the majority of people want, I am excited to say that I will now be offering a printable shopping list along with this monthly dinner meal plan! 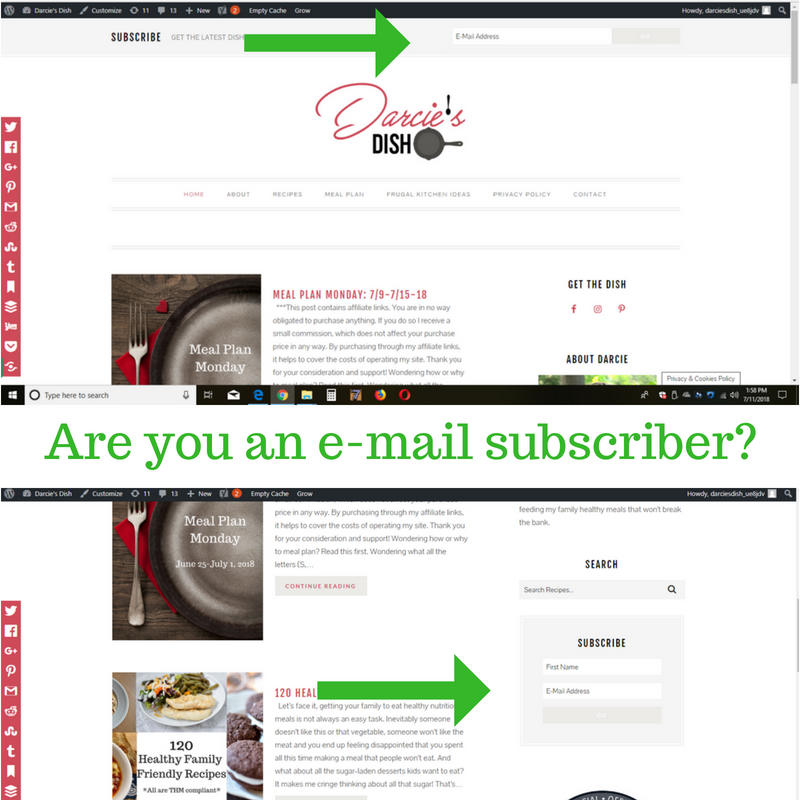 Look for the link down below. For the month of February, I will be using three different cookbooks, as well as some online recipes. 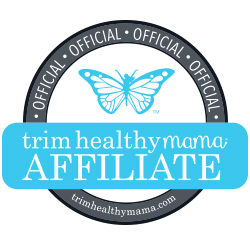 The cookbooks I’ll be using are the Trim Healthy Mama Cookbook, Trim Healthy Table and Convenient Food. 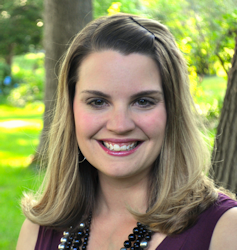 A lot of you probably have the first two books, but the third one is by my blogging buddy, Briana Thomas Burkholder. 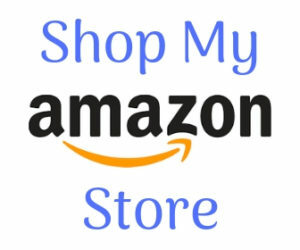 It is a FANTASTIC book that I highly recommend adding to your collection. You can read my full review of it here. This month’s dinner meal plan is for five full weeks. There are a couple of days of overlap from January and then two days from March as well. My hope is that this dinner meal plan will help make your life a little easier. Th – Italian Meatball Casserole over zoodles (S) pg. 64 in Convenient Food.